We love launching new websites for clients and it’s great to be able to give them full control over updating their own sites but when it comes to adding images though, things can get messy! Today’s consumer expects to be able to visit your business website on any device, from their mobile phone to their tablet to their desktop. That creates an interesting challenge for businesses and designers. After Facebook and Twitter, Instagram has become the most popular kid on the block, and as much as it might seem similar there are some undeniable differences! The logistics sector is evolving rapidly and for small to medium sized courier firms it is imperative that the website looks great and performs even better. At Gravity we are a small firm with two offices, one rural and one urban. The disparity between them on essential business services is really striking and so we are pleased to have been invited to share our experiences with the Government at a round table discussion at Number 10 Downing Street. Wheathills is a family run Derbyshire based company that specialise in hand-crafting the most ‘exquisite’ pieces of bespoke and personalised furniture and memory boxes. This is the first time this luxury brand will be selling a select range of products online. What is an SSL Certificate and does my website need one? SSL stands for Secure Sockets Layer, a security method which allows for the encryption of data when being transferred over the internet. Yet another acronym, it sounds pretty boring but if you have a website, you should read this…. Since launching in 2015 Gravity Digital employs six people, has won four awards and works with clients in almost every region in the UK. We are now really proud to announce that we have been awarded Google Partner status. 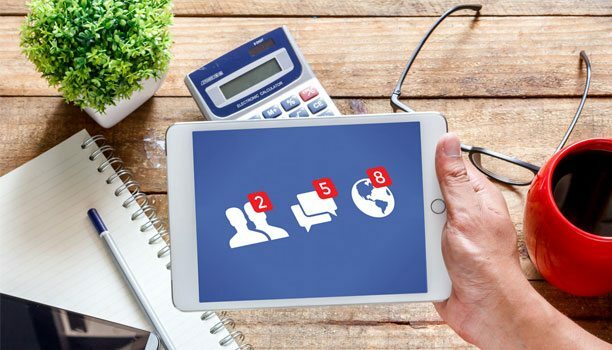 A Facebook page is a good way to promote your business, especially if your customers are consumers or you have a venue that members of the public can visit. Social media post boosting on Facebook and Instagram: Why and how? Social media boosting is useful and has been proven to work in reaching new audiences that can often be hard to find using only ‘organic’ means of finding them. Instagram isn’t just for celebrities and beauty bloggers. It can be a great way to show off the lighter side of your business and help you reach new audiences. Hashtags: a help or a hassle? Social media can be a scary enough place for a lot of companies and hashtags just add even more anxiety to this new-found territory. However, they play a vital role in each of the social media channels and if used correctly, they can be very beneficial in gaining a larger, engaged audience. Derbyshire-based digital marketing agency, Gravity Digital, is celebrating again today after being named the Federation of Small Businesses & Worldpay UK Microbusiness of the Year. Getting up early on a Tuesday morning, for a slap-up breakfast with some of the very best people that Derby has to offer, usually means there is a Marketing Derby Bondholder event somewhere fabulous. Specifically for registered charities, AdWords provides grants for a guaranteed amount of spending per month. Offering up to $10,000 per month worth of AdWords spending, this is an opportunity that every charity should be taking up. Social media platforms are an excellent way of communicating with a brand’s followers and we’ll be covering Mr Fothergill’s and Griffin Glasshouses’ attendance at these prestigious events bringing the shows to social media audiences. Ask a photographer what they think about the importance of professional headshots and they will probably express their despair at all the bad photographs out there. In today’s fast-paced world of constant communication online, businesses need great digital marketing strategies to capture and keep their customers’ attention. Gravity Digital, a digital marketing agency with offices in Derby and Bakewell, was the outright winner in their category for Best Creative Business and the team were handed their prize at a glittering awards ceremony held at The Belfry Hotel & Resort in The West Midlands. AdWords – does pay-per-click really add anything to your digital marketing strategy? Many businesses may think that AdWords are not working for them and either give up entirely or just let them fizzle out after a short campaign run. Here are our top tips for how to get AdWords to work effectively for your business. Gravity Director Sharon’s latest Business Matters Magazine column is now online and you can view it at: https://www.bmmagazine.co.uk/in-business/advice/digital-marketing-where-to-start/ or just read it below! Say the word Google to anyone and they’ll probably give you the same response. “Well, it’s a search engine, right?” Certainly, Google is the world’s biggest tool for searching the internet and it has even become common parlance for browsing the web: “I’ll Google it”, as most of us have said at some point. Why pay more than £99 for a website? You’ve seen the emails, you’ve heard the promises. You too can have a website for £99. But the question is, would you really want one? It’s cheap, yes, but is it effective? At Gravity Digital we are always explaining that a company website is the single most important marketing tool today, and this is why. So, your SME has grand plans to launch a glitzy and clever digital marketing strategy. Surely nothing can go wrong? But where do you start? Getting your online operation enticing new enquiries – and sales – is the tricky bit, and not everyone has quite got it right yet. Avoid getting into a digital daze and take a look at ten fast facts you should know to ensure you avoid digital marketing’s most common pitfalls. Gravity Digital Director and marketing specialist Sharon Stevens-Cash has been asked to join the impressive line-up of columnists for the UK’s largest SME business publication, Business Matters Magazine. Three successful entrepreneurs have formed a powerful new digital marketing company in Derby following the merger of two successful firms. Gravity Digital, based at The Mill, in Lodge Lane, aims to make a big impact both locally and around the country. Users are increasingly visiting your website from a variety of different smartphones, tablets, and other devices– and it only makes sense to accommodate this growing number of visitors. From a usability perspective, having a mobile-friendly website is essential. Without a doubt it is far better to do social media management in-house where you can. There, that’s that said. Coming from a company that handles outsourced social media and manages it on behalf of clients, it’s a pretty scandalous thing to say perhaps? And so why on earth would we say that? Marketing without a plan is like going into a restaurant that doesn’t have a menu; you can ask for your favourites or go for the chef’s recommendation, but you have no idea if you will like it nor will you know how much it will cost. SEO, digital marketing and effectively working social media channels are all marketing techniques that help you to get the most out of the website you have. I have been working in the Internet Industry for over 20 years now, and it is now, finally, no longer considered the new kid on the block. No longer do I have to spend a good 5 or 10 minutes trying to describe to people what I do for a living in terms they can understand. Getting permission to send someone an email is probably the toughest, yet one of the most important, things you can do (apart from maybe the Badwater 135). We’ve had a whirlwind 12 months at Gravity Digital and we’re pleased as punch! 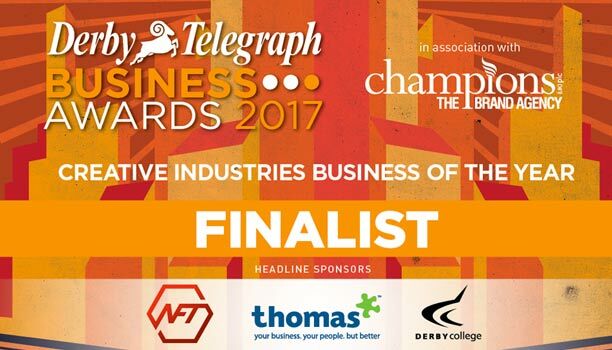 Gravity have been announced as finalists for the Small Business of the Year award by the Derbyshire Times. Here at Gravity Digital we’re feeling pretty pleased with ourselves. We’ve found out that we are finalists in another award! Social media: That’s Facebook, right? The term ‘social media’ is one of the most widely misunderstood that we come across at Gravity – along with an understanding of what digital marketing means itself!